Is this Xiaomi first 5G smartphone? Xiaomi is currently teasing a 5G phone dubbed mi mix 3, the company is working on the device and we can’t really say when it will launch. Xiaomi president posted a picture today of someone holding the said phone on camera, with a little “5G” sign in the status bar lit up. 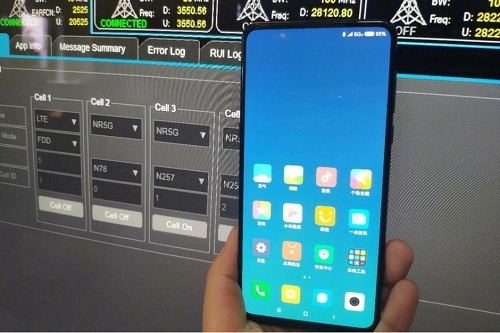 In addition, a bunch of 5G bands and frequencies are visible on a monitor behind the phone, indicating that it will possibly be a 5G device. 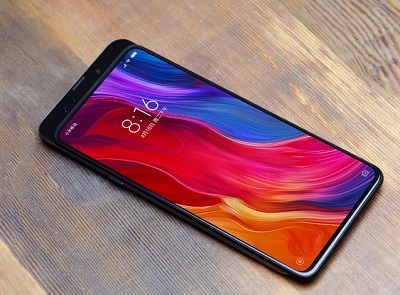 the Xiaomi Mi Mix 3 is coming with a slide-out camera mechanism like the Oppo Find X and the upcoming Honor Magic 2. We can’t really say that the Mi Mix 3 is completely bezel-less as you can notice a thin bottom chin. Its not really clear if Mi Mix 3 will ship with 5G out of the box or its just being teased. No word yet on the specifications and price of the device. Could this really be Xiaomi first 5G smartphone of 2019? Maybe. Let wait and see. If it is then it’s definitely not for African market..
Nice one. I need redmi note 5. anyone for sale? This device is a bomb. I never see 4g on my phone, wetin concern me concer 5g now? Lets hope it is sha, but I haven’t really rocked my 4G well oooo.